This is the new water-cooled Monster 821 which joins the range below the recently launched 1200 version to replace the outgoing Monster 796. The bike is powered by the 821cc Testastretta 11 V-twin engine first seen in the Hypermotard which has 112bhp along with the completely overhauled styling, chassis and running gear first seen with the bigger 1200cc model. MCN nabbed spy shots of the Monster 800 undergoing the final stages of testing three months ago but these are the first official images of the new bike. 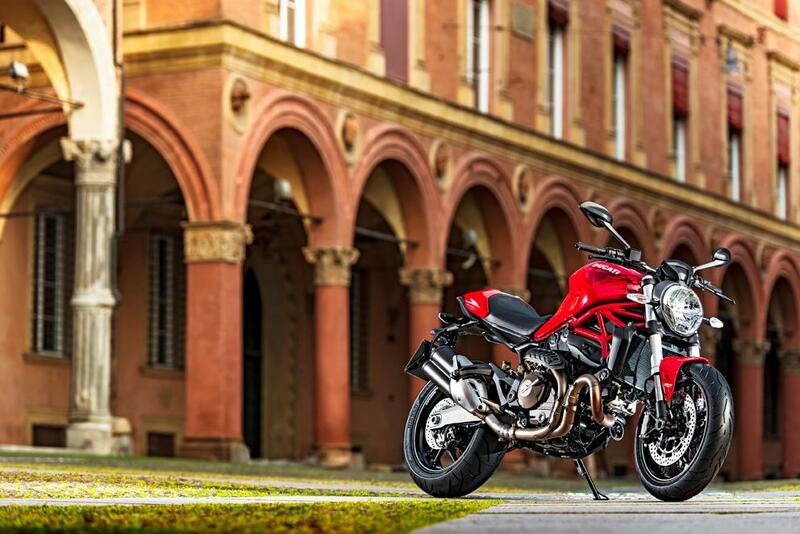 Differences between the 1200 and 821 cc models can be seen in the double-sided swingarm, lower specification Brembo brakes and differently-styled exhaust silencers. High-spec brakes, excellent suspension and stylish componentry merge with Ducati’s best-yet ergonomics to offer the Italian manufacturer’s most attractive mid-range Monster ever. 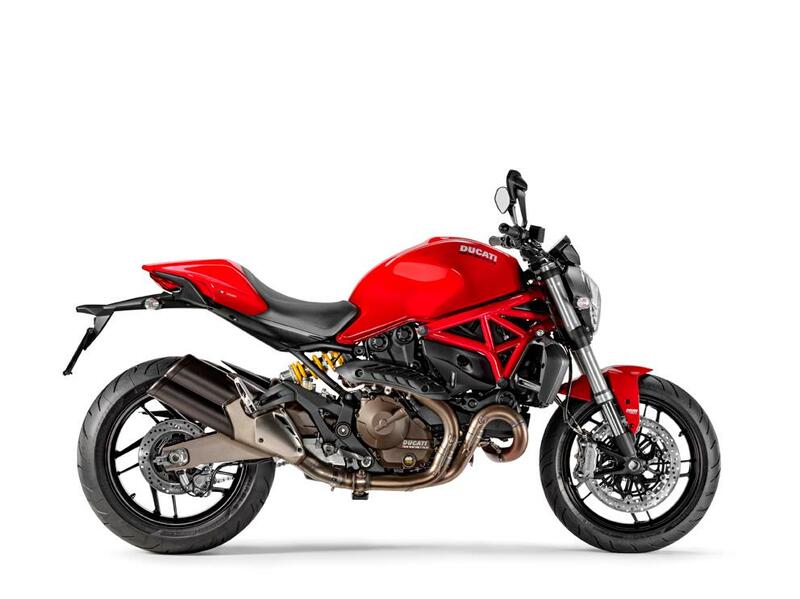 Super comfortable and with an innovative adjustable seat height, the model also combines eight-level traction control, three-level ABS and three-level Ride-by-Wire into Ducati’s user-friendly, press-button Riding Modes. A Monster 821 Dark version will also be available when the bike hits dealers in July.